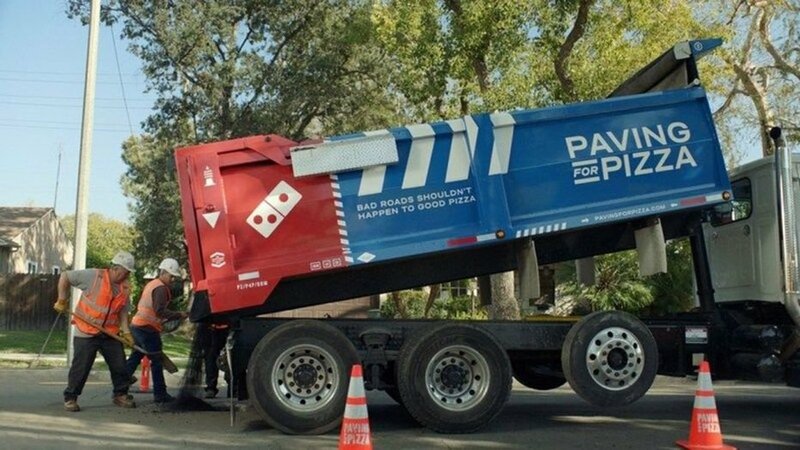 Customers reported that Domino’s is paving the streets of America for making the pizza home delivery comfortable. It was reported that the fast food company is repairing roads and making pothole for a smooth ride. In an official press release by the company, it was stated that the as a part of “Paving For Pizza” campaign, the company will repair any block, jump or crack which can pose a risk for the delivery workers when they leave the outlet for home delivery. While talking about this campaign, the president of Domino’s USA, Russel Weiner said that the company is well aware that the feeling of the customer intensified when he/she carries the order from the local outlet. He further said that the company does not want that a customer loses its tasty meal just because of a crack or a jump. 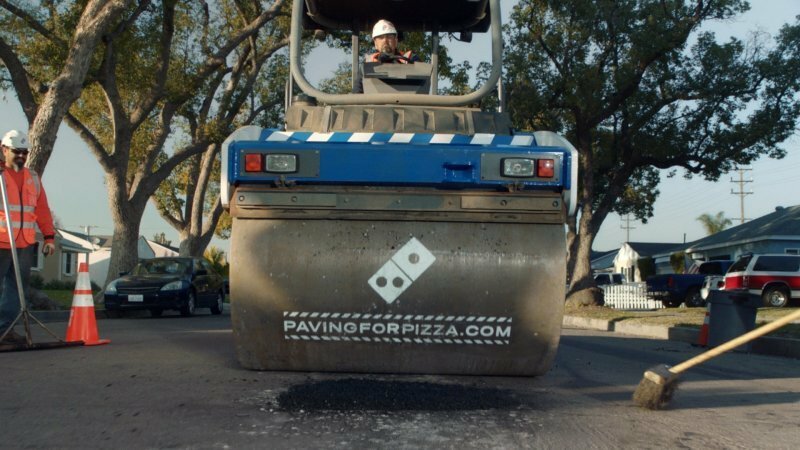 Domino’s Pizza started “Paving for Pizza” campaign in order to repair the blocks, jumps, and cracks. The repair work has already been started by the pizza chain company in four municipalities – Athens, Calif, Bartonville, and Del. According to the company, they have fixed almost 40 potholes on 10 roads in Milford. And the work was completed in just 10 hours, as reported by the company. The city manager of Delaware, Eric Norenberg, while speaking to the website said that facing a harsher winter in the city, this is the ideal scenario to use the extra resources of the city. 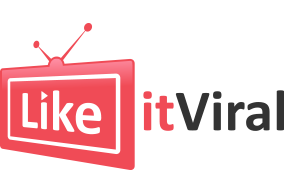 The press release further stated that to nominate a town, the customer can visit the campaign’s website and then enter the zip code of the town. If selected, then the pizza company will send funds for repairing roads to make the home delivery of pizza safe. It was further stated in the press release that now customers can enjoy three large-topping pizzas each $7.99 with smooth roads and convenient home delivery. The company said that the customers can order the pizza by calling, tweeting or just visiting the website. It was reported that almost 4 municipalities were covered with this campaign. Domino’s Pizza was founded in 1960 and is the biggest pizza company in the whole world based on the sales of both home delivery and carryout pizza. With over 1500 retail stores in 85 markets around the world, the pizza company is the largest public restaurant brand in the world. According to a survey, back in 2017, the fast food company had a global sale of $12.2 billion around the world. The US contributed almost $5.9 billion in that sale while $6.3 billion was earned by the company globally. The stats for the first quarter of 2018 are astonishing as the company earned $3.1 billion in the first quarter of the running year with $1.5 billion made from the US only. Customers were asked to visit the campaign site and enter the zip code of the city to make it the part of the campaign. The system of the pizza company is independent and is run by the franchise owners. The use of latest technology has helped the company targetting more customers as it launched an official app of the company for ordering pizza online. 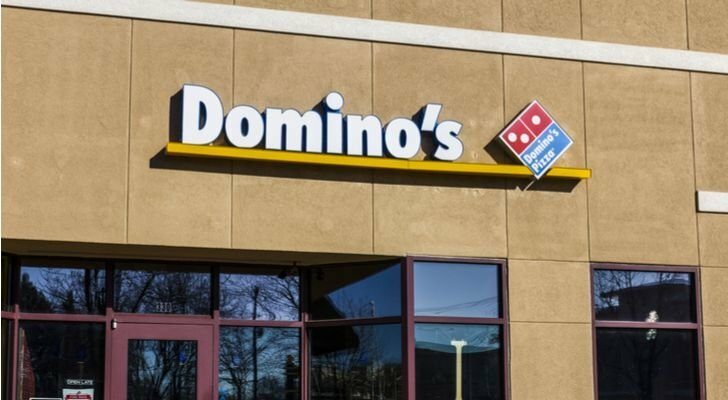 According to a report, Domino’s earned it’s 60% of sales from the digital orders in the US and the company has also invented many digital ordering channels like Facebook, Apple Watch, and Google Home. Even a text message with pizza emoji can get you a pizza from Domino’s pizza. With the collaboration of Ford Motor Company, the company also started a self-driving service for delivery in 2017. According to the stats of 2017, Domino’s is the biggest public restaurant brand in the world. Reinforcing the infrastructure of the roads does not look like a good option for a fast food company but the reasoning provided by the pizza chain is quite reasonable. The website says that block, jumps, and cracks cause an unaffordable damage to the pizza during the home delivery. The company can’t back up this situation and let your pizza topping move from one side to the other, the website stated. 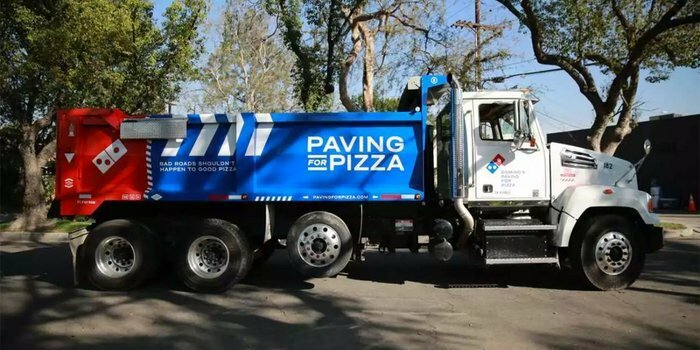 So to protect customer’s order, the company is paving the roads of the US to protect pizza from bad roads. The Mayor of Bartonville Bill Scherer said that partnership with the pizza company has helped paving more roads in the city. Jaw-Dropping Natural Phenomenons That Are Both Unusual and Fascinating! These Three Amazing Books That Sold Over 100 Million Copies Globally!